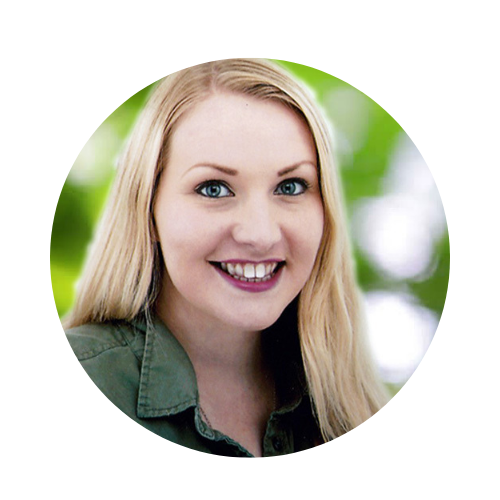 “It’s impossible to connect the dots looking forward, you can only connect them looking back” – SJ. I’ve been connecting the dots a lot lately. Somewhere in 2009, a few months after returning from my Born Free Shamwari adventure, I found my mind and heart brimming with inspiration and motivation – creativity that I struggled to find a use for. 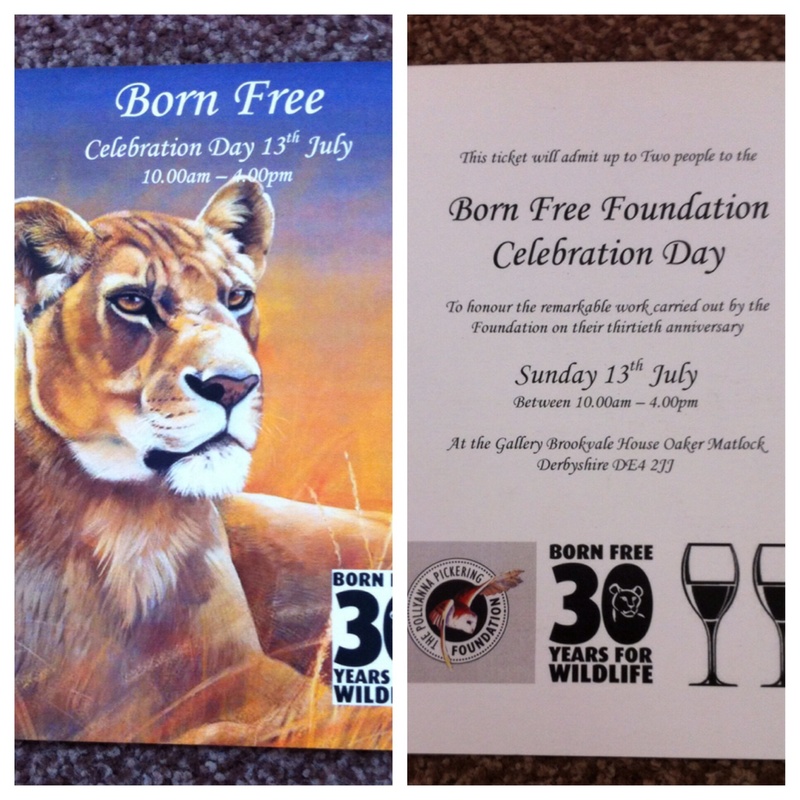 I booked an exhibition slot at my local art gallery, to sell artwork to raise money for the Born Free Foundation. 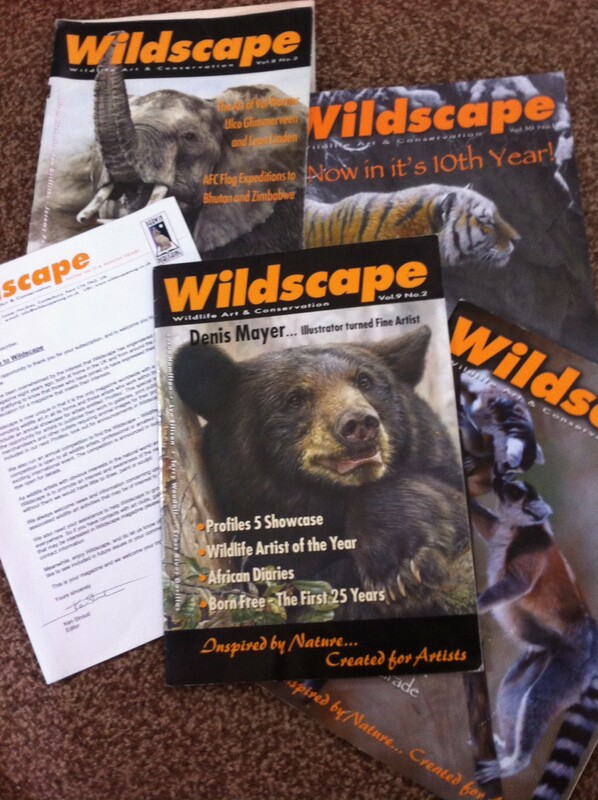 In the midst of creating a ‘Natural World’ portfolio of work, I discovered a wildlife art magazine called Wildscape. I wrote to the editor, asking how I could get hold of a copy, and soon held a yearly subscription. 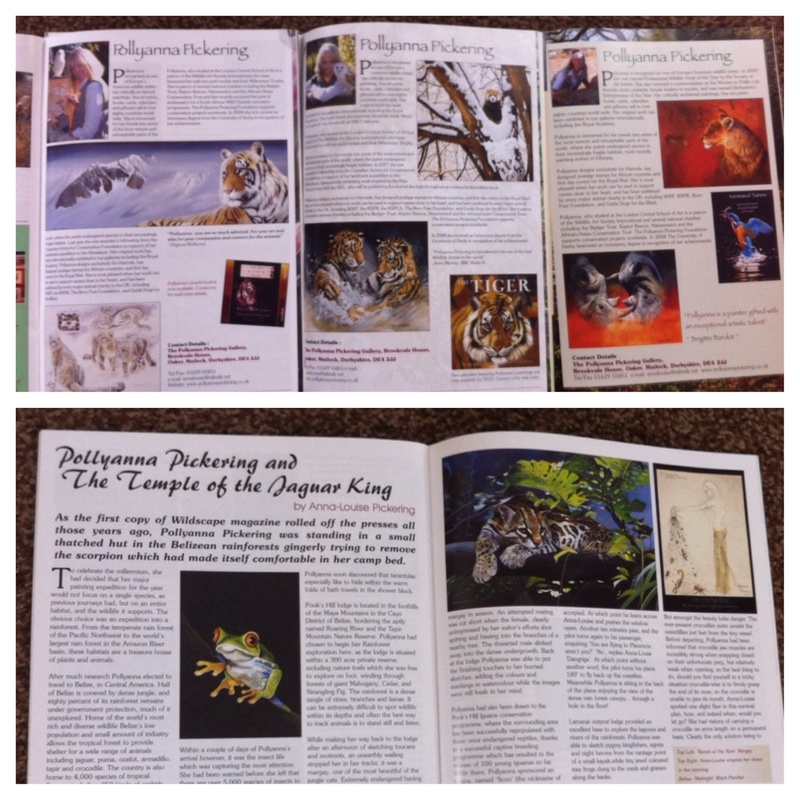 It was among the beautiful glossy pages of Wildscape that I first registered the work of Pollyanna Pickering: stunning images of tigers, a case study on jaguars and a ’25 years of Born Free Foundation’ double page spread that connected the first of the dots. Later that year, I noticed in my annual Born Free members catalogue a range of Christmas Cards with Pollyanna Pickering’s art work printed on them. I’ve since learned that the Pollyanna Pickering Foundation donated £8,000 towards building the Shamwari-based Julie Ward education centre that played a poignant part in my visit. This month I found myself strolling through the enchanting gardens of Pollyanna’s Derbyshire home. An on-foot safari of wildlife sculptures and beautiful landscaping that left me feeling like a character from Alice Through the Looking Glass. 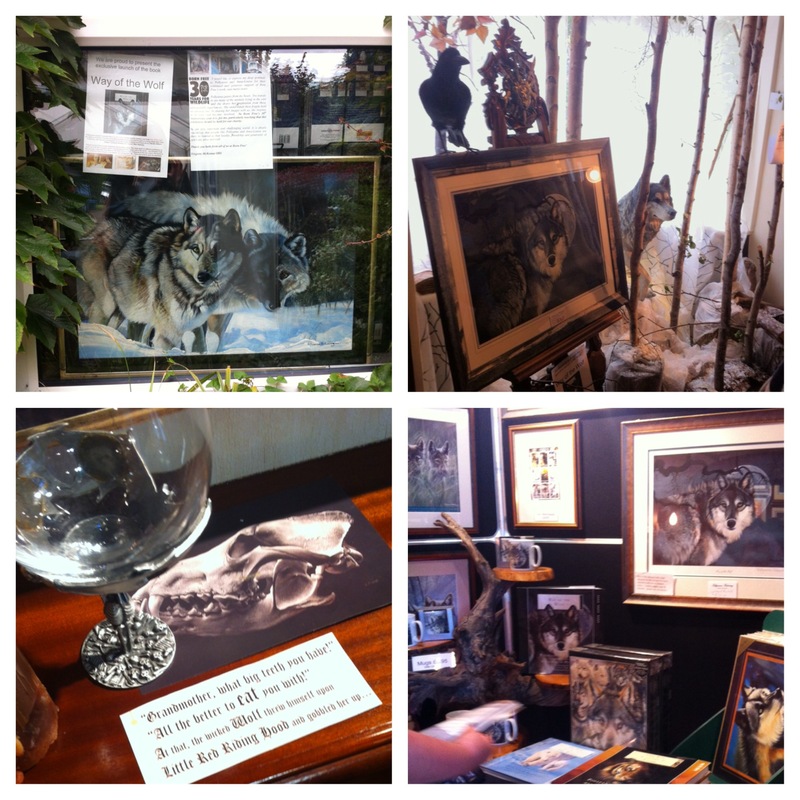 I was there for the Born Free Foundation Celebration Day and the opportunity to view her ‘Way of the Wolf’ exhibition held within her gallery home. Pollyanna and her daughter Anna Louise were warm and welcoming, and whilst I don’t wish to give too much away, the exhibition rooms were a treasure trove of talent. As her pen danced over my 30th anniversary Calendar, I had to catch myself from a nostalgic day dream of tearing open the brown envelopes that Wildscape arrived in – envelops that promised page after page of breath taking artwork in a magazine I used to long to write for. I know that I have opted for the road less travelled many times in my life and as way leads on to way, I find myself somehow staying on the path that I’ve always wanted to take. 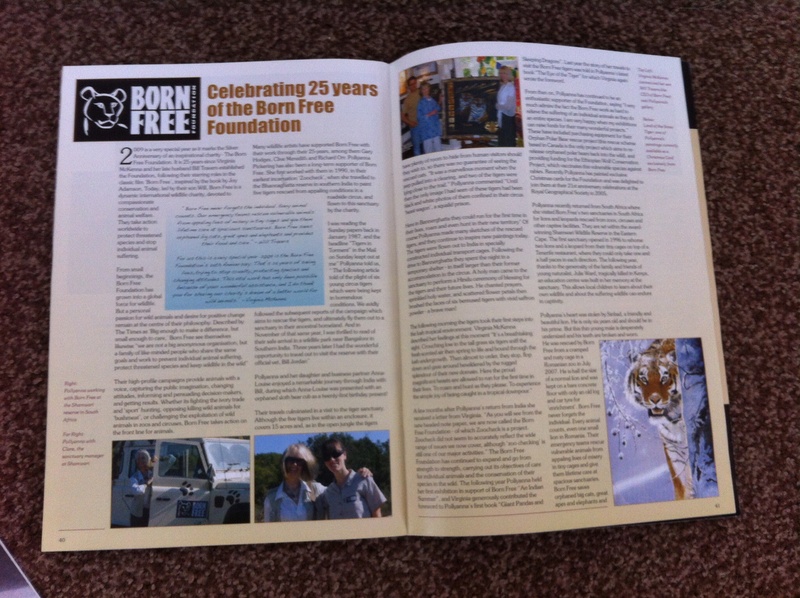 Never more so than sitting outside the Way of the Wolf exhibition hall, on a low garden wall, next to Born Free CEO and Co-Founder Will Travers, and quizzing him on the changes he’s witnessed over Born Free Foundation’s 30 years. “When we started, I wouldn’t have believed it if you’d told me at this point now there would be no more elephants at London Zoo, no more elephants used in UK circuses, no more live animals used at Disneyland – I just wouldn’t have believed it,” he tells me. As we chewed over everything from the Irwin legacy to Sea World (- look out for a blog post on this soon), I listened as Mr Travers told me that so-called ‘Millennials’ (those, like me, that reached young adulthood around the turn of the millennium) were the driving force behind protests against water circuses, such as Sea World. Ten per cent more 18-25 year olds have petitioned against Sea World’s practices than their ‘baby-boomer’ counterparts, I’m informed. “The trouble is always that we have to work and plan to time frames – and those aren’t necessarily short term,” Will tells me. 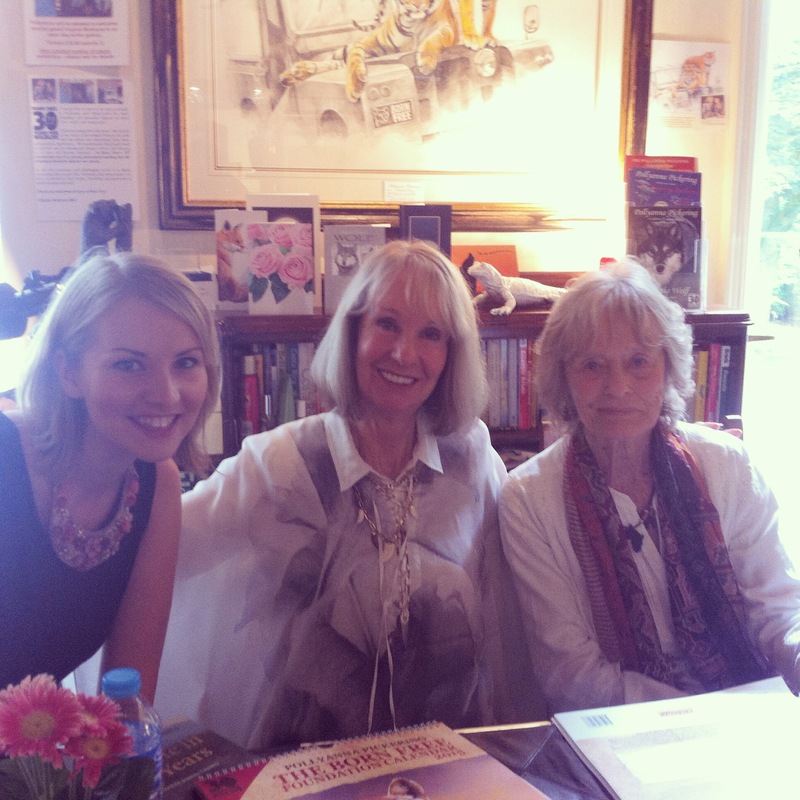 Before we’re interrupted and Will gets whisked away – as his mother Virginia McKenna has sold and signed all the gallery’s copies of her autobiography already and the orders are still rolling in – he leaves me with the thought that the next 30 years of Born Free will be filled with hard work, strategy but ultimately triumph if, the two former are gotten right. ‘This is our world’ – last chance to walk among nature’s giants!